A loan of $2,300 helped a member to pay for more cartons of fish. Mariatu is a 38-year-old fisherwoman. Mariatu’s family has owned a dried fish business because she was not fortunate enough to attend school. Mariatu has taken on complete responsibility for running the business since she was 21. Since fish is always needed by people, Mariatu needs to purchase additional cartons of fish to meet the demands of the people. This loan will help Mariatu sustain her business and continue to bring economic security to her home and a better life for her family. Mariatu’s group needs a loan of SLL 9,000,000, and of this amount Mariatu is to receive SLL 1,500,000. 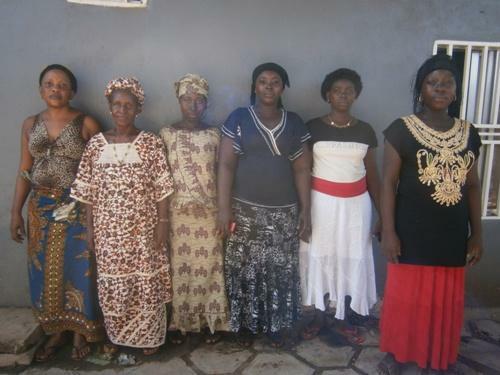 Mariatu is the leader and also the featured borrower; she is shown at the right of the picture.